The Lynchburg Hillcats completed a four-game sweep of the Myrtle Beach Pelicans with a 4-1 win Thursday night at City Stadium. Jarett Miller pitched seven innings of one-run baseball to get the win. Robby Hefflinger hit his fourth home run in three games and Matt Weaver and Elmer Reyes each provided RBI-doubles to lead the offense. The Hillcats (29-22) jumped in front early with a run in the second inning. After the first two hitters of the inning were retired, Reyes and Weaver hit back-to-back doubles to plate a run and make it 1-0 Hillcats. The Pelicans (29-23) tied it up in the fourth inning. Royce Bolinger hit a leadoff double then Preston Beck singled to put runners at the corners. Edwin Garcia grounded into a double play but the tying run came across. Miller (4-3) didn’t allow another hit after the run scored. He went seven innings and gave up one run on six hits with two walks and six strikeouts. It was the fourth-straight start for Miller to go at least six innings. The Hillcats got the lead back in the fifth. Cory Brownsten singled to lead off the inning and the ‘Cats tried a hit-and-run with the next hitter Matt Lipka. Lipka got a line drive single to right field but Beck made a strong throw to cut down Brownsten trying to take third. Lipka advanced to second on the throw, then took third on a wild pitch. The catcher, Kellin Deglan, tried to get Lipka but the throw sailed into left field, allowing Lipka to score and make it 2-1 Hillcats. Then in the sixth inning, Hefflinger reached on an error by 3B Edwin Garcia to lead off the inning and later scored on a Reyes double. That ended the day for Pelicans starter Alec Asher. Asher (4-3) gave up three runs, one earned on nine hits while striking out eight. 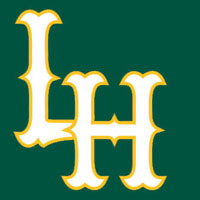 Hefflinger hit a solo home run off reliever Jose Monegro in the eighth, his fourth in three games, to add another run. Nate Hyatt picked up his sixth save of the season, which ties him for the league lead, with a scoreless ninth. The Hillcats end the home stand with a 5-2 record have taken over first place in the Carolina League. They look for a season-high five-game winning streak Friday when they begin a three-game series up in Woodbridge, VA against the Potomac Nationals. A.J. Holland (3-3, 3.47) takes the mound for Lynchburg against Robbie Ray (3-2, 2.58) for the Nationals. First pitch is set for 7:05pm and you can hear all the play-by-play action with Erik Wilson going live with the Hillcats On-Deck Show, powered by Honda/Suzuki of Lynchburg, at 6:40pm on 97.9 FM The Planet andlynchburg-hillcats.com.